I first heard about Ashokamitran when a friend caught me watching old Tamil film snippets on Jaya Max (‘Madura Geetam’). If I was into that sort of thing—MGR, Nambiar, Manorama—he said I ought to read a small book called My Years with Boss, a chronicle of life in Chennai’s Gemini Studios in the 1950s. Next, a film critic in Mumbai recommended the same book to me, adding that she wished something this good had been written about a Bollywood studio. When I mentioned My Years with Boss to my publisher, however, she had not heard of it. She knew of Ashokamitran only as the award-winning author of a novel called Water. I soon discovered that some people—especially Indians who write in English—regarded the name Ashok­amitran (which was clearly not a name at all, but an alias) with something like fear. His translator, that man Kalyan Raman, “is our great enemy”, a Mumbai poet told me. It turned out that Ashokamitran was as associated as U.R. Ananthamurthy with the campaign to deflate the egos of Indians writing in English. So who was the real Asho­k­a­mit­ran—the author of a beloved memoir of the golden years of the Tamil cinema, an avant-garde novelist, or a mascot for those who argue that this country’s best writing is hidden away in languages other than English? All three Ashokamitrans, and a few more, reside in the frame of a frail 81-year old man whom I find working at his desk in a modest flat in Velachery, a middle-class neighbourhood of Chennai. The cover of my copy of My Years with Boss features a chubby, grinning man, whom I mistook for the author—it was actually the face of S.S. Vasan, the legendary boss of Gemini Studios. 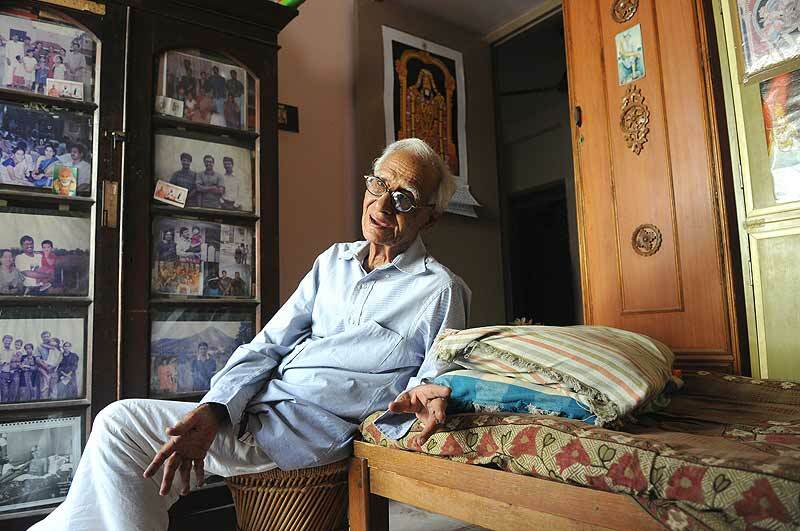 Both physically and temperamentally, Ashokamitran is his late employer’s antithesis: lean, long-faced, watchful and taciturn. He gazes around his room, covered with portraits of Hindu gods, and seems confused by my appearance at his home until he recognises the name of my maternal grandfather, a famous surgeon in Madras in the 1960s and ’70s. In the way that older folk accept what they cannot change, he now seems resigned to my presence; tells me to try his wife’s coffee; and answers my questions with short statements. J. Thyagarajan, the real name of the most acclaimed living Tamil novelist, was born in Secunderabad when it was still ruled by the Nizam (the city forms the setting for one of his best-known novels, The 18th Parallel). A literary vocation was not well thought of in the years immediately after Inde­pen­dence when the young man moved to Madras and began sending his stories to newspapers and magazines. And so—in the first of many attempts he would make to blur the boundaries between real life and fiction—he borrowed the name Ashokamitran from a character in a play written by a friend. To support himself, he worked for 14 years in the public relations department at Gemini Studios, transforming his experiences there into the novel Manasarovar, in which Satyan Kumar, a Peshawar-born filmstar (more than a touch inspired by Dilip Kumar), comes to Madras at a low point in his career. It is a typical Ashokamitran novel in that nothing much happens on the surface; the real drama is psychological, in the forging of an unlikely bond between the Peshawari superstar and Gopalan, a Tamilian screenwriter. 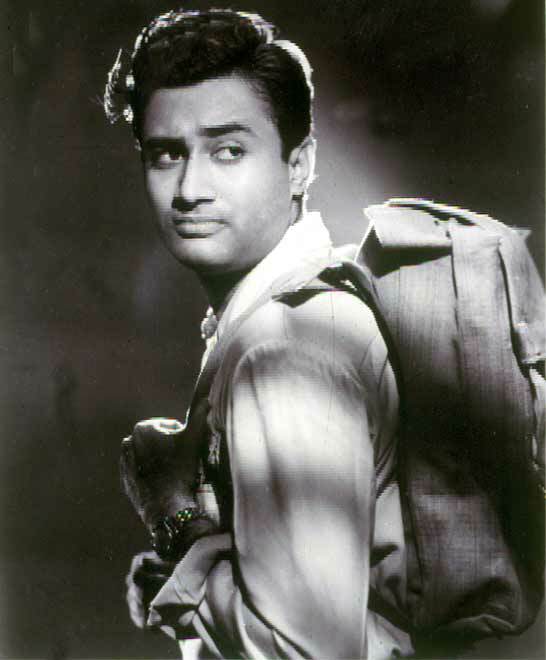 The stint at Gemini also produced a work of non-fiction that is Ashokamitran’s true homage to the Tamil cinema. Written in English (which the bilingual writer uses with great skill) and originally published in the Illustrated Weekly of India, My Years With Boss employs short, vivid sketches of actors, extras and directors to recreate the era in which ‘Boss’ Vasan, competing directly with Bombay, churned out blockbusters in Hindi and Tamil from his Madras studio. The studio was demolished many years ago, but it rematerialises before our eyes in the pages of this slender book: the day Chou-En Lai came to see a song-and-dance sequence, the morning Dev Anand flew into Madras, found his film cancelled, and flew back to Bombay by the evening flight; the way the make-up was applied so thickly on the actors’ faces that it was nicknamed ‘pancake’. My favourite vignette is the one in which Vasan, touring Calcutta, finds a cinema hall showing a new Bengali film instead of his latest production. Boss throws a tantrum and has it taken off the screen—but brings the reels back to Madras. All of them gather in the studio and watch this Bengali film again and again. Although they don’t quite get it, they sense that its director is gifted. The film is called Pather Panchali. All at once, Ashokamitran grows reluctant to talk about movies. One day in the mid-1960s, he recollects, S.S. Vasan came to him and demanded, “Aren’t you supposed to be a writer?” “Yes,” he replied. “Then why are you working for me, and not writing your books?” And so he left Gemini Studios, and in time became a Sahitya Akademi-award winning short-story writer and novelist admired for his spare, nuanced prose and his ability to penetrate deep into the humdrum lives of his lower middle-class protagonists. The glamorous world of the cinema is left far behind in novellas like Sand which examine with empathy the troubles facing women in contemporary Madras. They watched the Bengali film again but didn’t quite get it...still sensed the director’s gift. It was Pather Panchali. In 1973, Ashokamitran flew to Iowa City to join 30 other novelists from around the world. The University of Iowa, their host, arranged for their housing, gave them a stipend, and then left them alone for seven months so they could write. Ashokamitran wrote about the other writers. Wry, elliptical and self-referential, Mole! (translated brilliantly by N. Kalyan Raman) brings to life the motley crew trapped in cold, bland Iowa City: the Brazilian poet who knows only 10 words of English and is trying to buy a typewriter at K-mart, the Korean writer who uses too much garlic in his cooking, and the Ethiopian who’s working on a novel, also called Mole. It is only when the book ends that you realise how well its playfulness has masked its daring. Bearing little resemblance to the social realist novels that have dominated our serious literature since independence, Mole! is closer in spirit to post-modernist writing from places such as Latin America. On my second visit to Velachery, some six months later, Ashokamitran is more relaxed, and starts talking to me in Tamil. There is a black-and-white photo of Subramanya Bharati among the colourful Hindu deities in his room. When I ask about it, he gives me a quick course in modern Tamil literature, starting with Bharati, who survived British persecution, poverty and exile in Pondicherry to complete ground-breaking poems like Kuyil Pattu. Among contemporary Tamil writers, he likes Jeyamohan, but complains that he has been spending too much time working on scripts for directors like Mani Ratnam. And so, despite Ashokamitran’s ambivalence towards it, we are again talking about cinema. To my surprise, he prefers Rajnikanth over Kamalahaasan, finding the latter “arrogant”. I ask how he compares Sivaji Ganesan’s double role in Uttama Puttiran with MGR’s performance in Nadodi Mannan, but he shakes his head. The questions I am asking are the wrong ones. As he has done in his essays, he says the cult of the superstar has been detrimental to Tamil cinema. The more we talk, the more dismissive he becomes towards the films of the 1950s and ’60s. Chennai, thought of as a conservative city, is a bold one in matters of literature. From the time of Subramanya Bharati, India’s oldest living language has produced a string of stylish poets and novelists. 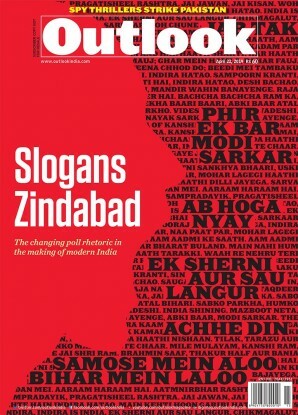 Some, like Ashokamitran, are quirky and innovative in a way that only a handful of our English-language writers, such as Raja Rao and Vilas Sarang, have been. Sundara Ramaswamy, another Tamil modernist highly regarded by critics, will be introduced this year to a national audience through translations of his major works. Walking about in the botanical garden in the suburb of Guindy, I reflect on all the time I’ve spent reading French and Latin American novelists—never imagining I might find my Cortazars right here in the city of my birth. On my way to the swamp deer, whose size frightened me in my childhood, I see something new: in a dim, thatched enclosure, a giant bird with a glowing blue face looks out at me. I go round and round the cassowary, staring at this gorgeous, alien creature, wondering how it can seem so completely at home in Chennai. And again I think of J. Thyagarajan, known to the world as Ashokamitran.